Diesel mechanics play a vital role in maintaining the trucking industry, which impacts business throughout the country. Without diesel trucks, corporations would not be able to supply stores with the necessary goods and raw materials that keep the economy running. Diesel mechanics maintain the trucks by checking engine parts and repairing vital systems, including the electrical, suspension, and brake systems. The mechanic needs to be able to communicate with drivers to ensure the trucks are in optimal running condition. Aspiring diesel mechanics need to obtain the necessary educational and on-the-job training in order to find the right job position. In order to enroll in a diesel mechanic program at a college or institution, individuals need to have their high school diploma or a GED. Some schools even require students to pass certain high school courses, including two years of science and math as well as four years of English. For those who are seeking to further their education as a diesel mechanic, some diesel mechanic schools in Mississippi offer bachelor’s degree programs for diesel technology. Aspiring mechanics will get an education in natural sciences, mathematics, and humanities while learning diesel repair techniques and methods. 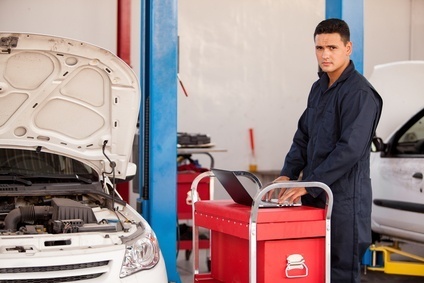 Aspiring mechanics are not required to earn special certification in order to find a good-paying position. For those who wish to stand out among the competition, seeking national certification through the ASE (National Institute for Automotive Service Excellence) offers an extra edge to their resume. The ASE provides certification in steering systems, brakes, preventive maintenance, and electrical systems. As of May 2010, the BLS (Bureau of Labor Statistics) reports that diesel mechanics can earn a median pay of $40,850 annually, which is approximately $19.64 per hour. Data shows that employment is expected to increase by 15 percent between 2010 and 2020. A career as a diesel mechanic is both exciting and challenging. If you’re looking to take that next step and get the proper training you need, take a minute or two and search for diesel mechanic schools near your home.